﻿ Home - Therapy Seminars, LLC. This seminar, presented by Vincent Mullins, MOT, OTR, will provide clear steps to opening and running a pediatric therapy practice. All aspects of start-up and growth of the practice will be presented through personal experience and years of research and development. Both therapy and business portions will be covered. Q&A time is also included. 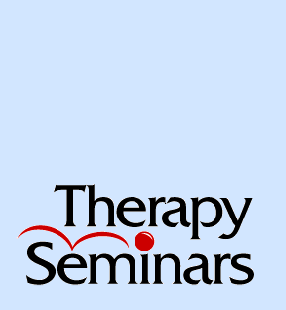 The material from Therapy Seminars has helped more than 250 therapy professionals in their careers and practices all over the United States. Register for a seminar or purchase a DVD package today! Save on travel expenses and watch a 6-hour recording of a conference at your convenience. This 3-disc DVD package also includes important forms and documents and manual to log information. Register for an upcoming seminar available at major cities all across the continental U.S. This option gives you the flexibility of personally asking Vince about the process of starting and running your pediatric private practice.